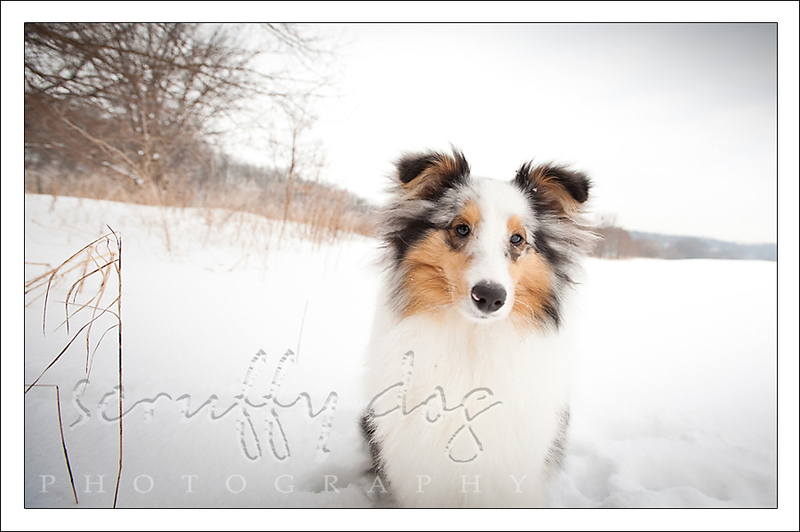 … handsome, seven-month-old sheltie boy who loves the snow … and loves his mom. we had an early morning shoot, and in spite of the sun’s spectacular display on my drive over to Ryder’s home, it refused to make even a hint of an encore during our shoot. still, the diffused light of winter can make for some pretty wonderful shooting opportunities. and Ryder hardly cared about the disappearance of the sun. he just wanted to run. … and run some more. although he could be a bit of a poser too. but sometimes not. pups do tend to have a shorter attention span. this little guy has a wonderful future ahead of him, with a devoted mom who has a good handle on herding breeds and knows just what this active boy needs to keep his drive answered. thanks, Ryder and Maris for an entertaining morning. looking forward to seeing you again at the studio consult. Michelle - You do such a phenomenal job of capturing the personality of each dog! It’s so amazing. Love it. john - Gotta luv the sheltie… Great pics! jeff - What a wonderful and beautiful Sheltie series! Good stuff. No, GREAT stuff! Jennifer - love the rug shot, and the one where he is being held….also where is a big round ball running towards the camera, LOL! They are all great, this is one good looking dog!